« Are they serious? Shade Cloth over the Great Barrier Reef to save it from climate change? 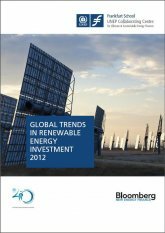 In June this year the UNEP report announced that Global Renewable Energy investment reached $257 Billion in 2011. It’s so large it rivals the $302 billion invested in fossil fuel power. But how much electricity do we get for all that money? When the details are pulled from the fog, a quarter of a trillion dollars appears to produce only about 3% of all our global electricity, and even less of our global energy. All that money, so few gigawatts. The last couple of quarters have not been good for renewables. (Click to enlarge). Gross investment in fossil-fuel capacity in 2011 was $302 billion…. So how much electricity does all that investment get us? At a glance, the numbers in the report look impressive. The UN don’t have much interest in adding graphs like these, though they have 50 figures in the glossy report. Trick 1, is to refer to “capacity” and not so much to actual production. The UNEP say renewables comprise 25% of the capacity, and we all know (thanks to Anton Lang) that their capacity is wildly overrated. (Coal fired stations produce at somewhere around 75% of capacity, while solar can be 5 – 20% of its capacity). Capacity is a hypothetical number that is achieved in perfect circumstances. It literally depends on the weather, and when it’s dark and windless, we get nothing from solar and windpower, those moments they are running at 0% of capacity. …and [renewables] supplied an estimated 20.3% of global electricity. As we showed with EIA statistics, most of that 20% comes from large scale hydroelectric generation, but most of the renewables investment is going into wind power, and especially last year — into solar. Readers may not realize that while “all renewables” appear to be successful, most renewables contribute next to nothing. This point is all the most apropros when we look at the value of the investments. Of the $257 billion in renewable investments, a whopping $147 billion was invested just in solar power – the renewable source that generates less than 0.1% of global electricity. And as for hydro — wheres the hydro? There is no large scale hydroelectric power in the $257 billion statistic, even though there is a lot of hydro in the “renewable energy statistics”. Let’s look at global energy production with and without hydro in the mix. Click to enlarge the table (below). Notice in 2011, “new investment by sector” has only $5.8 bn in investments for “small hydro”, and there is no large scale hydro category. In Fig 25 of the UN report, all renewables plus small hydro produce 6% of global electricity (compared to the 3% figure the EIA estimates for non-hydro renewables power. Possibly small hydro produces as much electricity as all the other renewables combined?). Wind and solar are never left to stand alone against the might of fossil fuels. Total investment in solar power jumped 52% to $147 billion, while curiously, investment in wind power fell 12%. Wind was the dominant renewable dollar winner previously. (Perhaps people are realizing the folly…?) Biomass and biofuels were similarly on the nose. Trick 3: Shine up percentages by talking about capacity added rather than total capacity. “Capacity added” flat out ignores all those 1 – 50 year old fossil fuel and nuclear stations which supply most of the worlds energy. Thus making it easier to paint a picture of renewables storming the world with success. Here’s an example from the UN report. the intermittency of the wind and solar capacity added. By talking about “power added”, or “capacity added” the numbers seem important. That’s because most of the equipment that generates reliable, efficient electricity is old. This updates the tally I wrote about here last year Clean energy “investments” just a tiny $243 Billion in 2010. It’s not a small industry. But the climate denier industry (whatever that is) is somehow operating on 0.001% of the budget (if that, and in my dreams) yet that is the one some psychologists fear is having all the influence. Trick 4: To make other forms of energy “competitive” use large error bars, and add imaginary error bars to fossil fuels to make them appear “similar”. WARNING: All the numbers in the chart come through the UNEP filter. There is another trick. They refer to megawatthours produced, (i.e. mandatory subsidized purchases by the grid) and NOT fuel substitution. BIG difference. There are some numbers from Holland confirming the Falklands experience: 4% (FOUR PERCENT) fuel savings. 4% of nameplate capacity, corresponds to annual, average conventional fuel substitution. I believe that this is the slimiest trick, as it is the most obscure to comprehend (or document). A very expensive black hole. They are frantic about interconnections to hide the fact. Australia will be just like the Falklands (an isolated grid) except a lot more expensive. Never mind E.ON had sort of predicted that in its 2005 report. Thanks to archaelpteryx and other commenters for an informative thread. We can lower Australian CO2 emissions by… (wait for it) building new coal plants! (the post compares capacities of coal fired and solar and the cost effectiveness of both). h++p://kirbymtn.blogspot.gr/2008/02/less-than-one-fourth-of-projected-fuel.html (4 to 8%, depending on season). Excellent avatar and handle – kudos. archaeopteryx: thanks for the links. I was aware of the BENTEK and Udo reports, but will follow up on the others. On a cold winter’s night there is nothing like the warm glow of a solar panel to keep you warm. That, or a blazing fire of bundled $20 notes, which might be cheaper. These characters get paid for electricity they force on the grid, without saving a substantial fraction of the corresponding conventional fuel! Didn’t I see a segment somewhere that backyard solar businesses in Spain were running diesel generators to light up their solar panels at night because the subsidy kickback for solar was more than the cost of the generator and the diesel? [rummage].. Ah.. found it! …The prices paid for green energy were so high that it appeared to be profitable to generate that energy by shining conventionally fuelled arclights on the solar panels. I thought they were simply exporting power directly from the generators, and claiming the solar subsidy? This would have been more profitable, as conversion losses wouldn’t apply. Chinas photovoltaic companies are burdened with massive debt and the industry is close to it’s limits! The top ten have combined debts of $10.5 billion and the whole industry is on the edge of a cliff! Also CEO Mr. Li Fei (and owner) of Chengxing Solar Company in Jinhua, Zhejiang Province, committed suicide by jumping off a building after he was unable to repay a 20 million yuan (US$3.15 million) loan taken by another photovoltaic company called Zhongxi, for which Chengxing was the guarantor. Refer: Article in Want China Times. The end of solar is near – especially artifically cheap systems! The stars all lined up in 2010 to make the figures easy to understand. Global spending on energy was $5 trillion. Consumed energy was 523 quads. Of those 523 quads, 52 came from renewable sources. Of those 52 renewable quads, 50 came from hydro-electricity. Two of those quads came from biofuels, wind power and solar combined. Quite simply, 10% of all money spent on energy delivered 0.2% of the energy we consumed. Not a big bang for our buck. Back to unsustainable coal until the politics allows Gen 3 nuclear (LFTR) a build license in Australia and hopefully more R&D in energy storage can make CSP solar almost as cost effective as nuclear. Give it 20 years perhaps. We’ve got plenty of coal and LNG in the meantime. One step back, then two steps forward. Yes well spotted. Thorium is not sustainable either. Mind you, (from hazy memory) 1000 years supply of Thorium is hellavalot closer to “sustainable” than 200 years remaining reserves of coal. Ah, very well then good sir, carry on. I had also assumed mosomoso was being sarcastic by calling coal sustainable. I guess in the short term as a business and saleable product it is more sustainable than current “clean tech” heheh. To take just Uranium for instance, currently the world mines approx. 55ktonnes of it per year. If we were to extract this amount from the oceans each year (and the Japanese have tried this, and priced it at 3X the current U price) then we have in excess of 400 000 years worth available right there. This is without taking into account that here in Sth Oz, the country side is lousy with Uranium. The mineralisation that characterises Olympic Dam is found in more and more places. A few years ago, OZ minerals, operators of the Prominent Hill mine were investigating 13 economic targets, all of them were copper/gold targets, and all contain the ‘mineral which shall not be named’ (because they don’t have a license to sell uranium ore). Jo writes, So how much energy does this get us? Enough to line the pockets of the crony capitalist who drain the life blood out of the poor taxpayer and the crooked politicians who get kickbacks in the form of financial contributions from the crony capitalists. It is, in essence, a perpetual motion machine. Any “energy” lost is compensated for by the aforementioned taxpayer. Thus, the motion remains perpetual! I never liked the term ‘crony capitalists’. Crony socialists is more accurate. I googled US renewable (solar and wind) electric ACTUAL output and found its about 12% of our total electric production. Germany recently hit 50% ACTUAL electricity for the nation from green sources. This would still mean global production could be only 3%. If you look at the curve of renewables since 1990 it’s exponential. The external costs of fossil fuels are socialized, and the profits are privatized. So we AREN’T paying the true cost of burning them. Thanks. I googled US renewable (solar and wind) electric ACTUAL output and found its about 12% of our total electric production. Those figures you have for the U.S. for Wind and Solar of 12% are incorrect I’m sorry to say. The actual percentage is only 3.23%. Add Wind and Solar and compare to the total. Data as at end May 2012, two Months ago. The problems with this push to renewables are a concern. Reality seems not to interfere with the hype. The [AEMO] … has released a report that says investment interest is focused on supplying renewable energy such as wind and gas during periods of peak demand on the hottest and coldest days of the year. The report says investors are less interested in base load generation, which provides energy all year round. Er, even I know that the wind tends not to blow when you are in the hottest and coldest temperatures, because you have a stonking great high pressure system sitting on top of the continent. And Gas is a renewable energy now? Oh my aching braincells. And this is before you get to the small problems like that wind energy actually forces more CO2 emission per MWh beyond a small proportion of total generation capacity because of the need for load leveling – at low imposed efficiency on the fossil fuel backup generators. Not to mention all the birds and bats mashed by this so-environmentally-friendly technology. I am sorry, but if CAGW people wish to get the ear of ordinary voters they cannot sell them lemons with lies. Why does Julia say we are leading the world, when all it really is, is an expensive tow line attaching us to those that have already tried but failed. At the same time never a hint about the transfer of wealth from the many to the few. Horst von Buttlar writes at the online Financial Times Deutschland a piece called: Wind Energy: The Dirty Secret of the Energy Transformation. In the aftermath of Fukushima and Al Gore’s Inconvenient Truth, Germany rushed madly, in a state of collective hysteria, to alternative energies, ignoring all warnings that it would cost a bundle and wouldn’t work. Now with the big bills rolling in, the country is beginning to show some signs of returning to a little sanity. … if CAGW people wish to get the ear of ordinary voters they cannot sell them lemons with lies. But lemons sold with lies is all they have got. CAGW is a fact free environment. That is why these commie losers have always been on the wrong side of history. When Communism serves you lemons, you don’t start making lemonade, you kick over that limonada stand and start planting wheat and raising lambs – and if they want your surplus lamb pies they can buy `em! Right, so Lemons are the new Lambs. We have an imaginary $10 Billion Dollars to spend on creating electrical power. Let’s do an exercise for Nuclear Power plants, Coal Fired power plants, Wind power plants, and Concentrating Solar plants. Here I will give worst case costing scenarios for nuclear and coal, and best case scenarios for Wind and Solar. For Nuclear, this is one plant with 2 reactors and two 1000MW generators. For Coal, this is 2 new tech coal fired plants, each plant having two 1000MW generators. This is without the unachievable CCS dream, and does not include the CO2 cost. The cost here would probably get 2.5 plants, but I lowered that to 2 plants. For Wind, this is 7 Wind Plants, each having 50 towers with 2.5MW generators. For Solar, this is Concentrating Solar Power of the Power Tower Method with heat diversion for maximum capacity versus time. 8 plants, each with a capacity of 50MW, which is theoretical still, because the best they can manage now is around 17 to 20MW for one generator, and the cost will increase exponentially with more heat storage, considering the best case theoretical maximum size generator a plant of this nature can drive is that 50MW in theory. Keep in mind here that this is just up front construction costs. Nuclear power will have added costs for the fuel. (in fact, quite a minimal cost here) Coal will have added costs for fuel, the coal itself at 9 million tons per year for both plants. For Nuclear, the plant has a life of 50 years. For Coal, the plant has a life of 50 years. Now, note specifically the actual power delivered for consumption. To recover those construction costs over the life of the plant, that extrapolates down to a cost per unit for power generation, and as is patently obvious here you can now see that those two renewables of choice are more expensive. Other factors come into play here, but the exercise here is at the construction end. Now, having done the exercise, you tell me which of these would get Government approval. Note here that I have just used a nominal amount if money. Then note it will build 7 Wind Plants and 8 Solar Plants. If they have trouble getting all the ducks lined up for just one of these types of Plant, imagine the problems with many of them. Form that, and getting just one of them ‘done’, see how piddlingly small the actual power from just that one plant really is. So now, imagine just how difficult it becomes to even contemplate closing Bayswater or even Hazelwood. Now perhaps you can see that closing them down is nothing more than a Green dream. That’s why no large scale coal fired plants have closed. There’s nothing to replace them with. So, all they have is talk talk talk. The green dream is to shut them down regardless of the implications that go with it (see The day the Earth stood still). For Labor this is all part of the scam. On one hand they appease the greens by speaking fairy talk and on the other they tell us how much they care about the environment but can anyone remember them telling us how they are going to do that? I have just spent a “glorious” week with my parents and they both thought wind power was great, i tried to explain to them that you would need thousands of the buggars to replace Hazlewwod (they live in Geelong) but i dont think they got it (too old) most people dont have the luxury of that excuse. Hey crakar, tell your folks what happened in Spain and what is happening in Germany. Yeah, I know; they’re your folks and you can’t be too hard on them but if they think wind is gonna keep the footsies warm in winter, you have to show them that it hasn’t happened anywhere with power that people can afford. To change the subject slightly, I heard someone state that post 2014, most, if not all of the “posts and wires” rebuild will have been completed and that power price increases will abate somewhat. Any take on that, TonyfromOz? I heard someone state that post 2014, most, if not all of the “posts and wires” rebuild will have been completed and that power price increases will abate somewhat. ‘Poles and Wires’ is the very convenient excuse, especially from the Feds, now all main State Governments are of the opposite political persuasion. It’s so easily shot down, I wonder why people have not seen it for what it is, and here I use the very specific example of South Australia which has the highest retail price for electricity in Australia. It is the least populated major mainland State east of W.A. on those Eastern Grids, hence (an awful lot) less poles and wires than the other three main States. So, what other reason is there? S.A. has the highest proportion of renewable power, mainly from Wind Power, and because it does not have enough electrical power of its own, it also has to import power from Victoria. That has to be paid for, and it comes in the form of higher retail electricity prices. You’ll hear about gold plating the grid. What does that mean? No State can actually even get close to affording the gold plating of the grid. Gold plating means undergrounding all those poles and wires, and that will never happen, because no one can afford it. Even so, even if poles and wires work was all done by 2014, (yeah right) we will be paying for it for decades to come, as, similar to spreading the construction cost of those power plants over their life span, as I mentioned in Comment 11, the same applies with those poles and wires. As more renewables come on line, the retail price goes up. As more rooftop solar comes on line with those incredible FIT, the retail price goes up. As the CO2 tax increases, the retail price goes up. At every one of these steps, poles and wires will be blamed, and not the true culprit here in all of this. Poles and wires is a furphy of the grandest order. Just as I suspected. I think it was the State Energy Minister (Chris Hartcher) but can’t be sure. Excellent essay. I think they are crony corporatists. There isn’t even one whiff of a “free market” anywhere. Remember “capitalism” is Marx’s term, I think. The crony corporatists will soon find that they are subject to a fascist dictator’s terms — another version of socialism. I don’t understand how the Greens and the government can make the claim that renewable energy is actually clean energy. The reason being that they do not turn off or down the fossil fuel-fired generators when the wind blows and the sun shines. Therefore no CO2 was saved from being emitted, no fossil fuel was not burnt, or even less fossil fuel burnt, so how can they claim it is clean energy? They are taking our money for the renewable energy under false pretences (or fraud actually), so how can they get away with it? Fisker Automotive Inc. said Saturday it is recalling 2,400 plug-in hybrid electric Karma sports cars to replace a cooling fan cited as the cause of a recent fire. This is the third recall to impact the Karma since December. The company suffered a setback when Consumer Reports bought a Fisker and it died soon after. Fisker issued a recall for the first 240 Fisker Karma vehicles in December to address coolant leaks that could have led to a battery fire. In 2010, Fisker won $529 million in low-cost Energy Department loans, and has drawn $193 million, mostly for use in developing the Fisker Karma that was designed and engineered in the United States, but assembled in Finland. The Energy Department froze the rest of the loan last year amid talks about the company’s business plan. What is crazy is we are subsidizing a green luxury car. Let the market decide will you. 4 years of AGW driven insanity. Can we recover? Subsidising a combustible car for rich environmentally conscious types? Very green-progressive. Republican Gov. Mitch Daniels was also on board in convincing Norwegian company Think Global to open a plant in Elkhart to build Think City electric cars with a sticker price of about $42,000. As incentive, the federal government offered Think City $17 million in stimulus tax credits. But it turns out the company had a checkered track record, including three previous bankruptcies. We recently visited Think City’s Indiana plant, and here’s what we found: a largely empty warehouse. Everybody hoped that by this time there would be more than 400 workers inside a bustling plant. Instead, today, there are just two workers at Think City. Rodney and Josh are slowly finishing assembly on a few dozen 2011 models shipped in from Norway. Now in its fourth bankruptcy, Think Global has been bought by a Russian investor who didn’t return our calls. Electric car buyers must be amongst the richest and most gullible section of the US population. And which includes the pollies who keep on losing squillions backing snake oil salemen. You will see that solar production is below “small hydro” and “biomass” production. Biomass is generally methane drawn off landfills in California. Solar has been developed at huge expense in California and current mandates will drive those costs up even higher. In winter I doubt we will even get two hours of peak production out of Solar. It is one huge waste of money. Here, crosspatch highlights another of those tricks, and believe me, after more than 4 years of doing this, there are more tricks with renewable power than are turned on an average night at The Cross. This trick is the use of graphs of differing scales to indicate renewable power generation with respect to actual power being generated for consumption. The graphs are separated but made to appear around the same size, just using different scales for the Y Axis, because if they were to use the same scale, or even place them all in the one large graph, then renewable power would show to be such a tiny part of the whole as to be insignificant. I’ll draw your attention to the Australian Wind Farm performance chart at the link I provide at the end of this Comment. Now some of you may think I’m linking to this to show you some really poor performance data, but this is actually from yesterday, (19th August 2012) so I did not need to go searching for a really bad one, and trust me, there are many many of them worse than this one. It’s relevant here at this Thread of Joanne’s because of what it indicates, the tricks used to make renewables appear to be delivering something that appears better than it actually is. I want to compare this with a coal fired power plant. While ever that coal fired plant is running and all its generators are turning, that plant is producing for consumption its total power day in day out, the only down time being for maintenance. Because Wind Power is so variable, those types of plant are only generating in optimum wind conditions, so even while the Capacity may be (X) it is producing that power for some periods of time, and not all the time. What this graph shows is the output from Wind Power in Eastern Australia, and it is calculated on an hourly basis across the day from Midnight to Midnight. From this graph, the second one down at the link, you can work out that the average output for the whole one day period was 200MW. This is the total from 25 Wind Plants across 4 States, NSW, Vic, SA, and Tas, totalling out at 2072MW. That is from 995 towers, and let me stress that again. The average output from all of them for the WHOLE of yesterday was 200MW. This gives it a Capacity Factor of 9.6% for the day. The average power consumption for that same 24 hour period was around 23,000MW. So over the spread of this day, Wind, from 995 towers supplied 0.87% of that area’s total power consumption, not even one lousy percent. All this Wind Power has cost around $7 Billion in dollars spent over the last eight to ten years. Now harking back to Christine Milne and her call for a transition to 100% renewables by, well, by fairy time I guess. Just going on the Nameplate Capacity here, that figure of 2072MW, and keeping in mind that the total has to be more than consumption, so you’ll be looking at around 31,000MW at a minimum pinch, or 15,000 wind towers at 240 or more Wind Plants, so that means we now need to add to the wind power we already have multiplied by 15, and that will be in tomorrow’s dollars, not yesterday’s, and no matter what Green supporters say, the costings for renewables are only going in one direction, and that is not the direction Greens say it is. This is just for the Nameplate Capacity here and not on actual Generation. That being the case, you will still have days when there will all those towers will be generating less than 1% of total demand, and the absolute best case scenario for actual power delivered, you are only looking at their best case Capacity Factor, hence around 30% of the actual power needed for consumption. See now the trick between Nameplate Capacity and actual Power generation. Those 15,000 Wind towers have the total power equal to what is needed, and yet only supply 30% of that power needed for consumption. The only thing I have to add, is think heavens yesterday was a Sunday, when total demand was lower than it is on week days. The following is the link to this data, and please tell me, if they can do this for Wind, why can’t we get data like this for all other forms of power in Australia in the one place, like the EIA does in the U.S. instead of two years old data that is heavily disguised, and virtually unintelligible for the average person. have you looked at ERCOT – T for Texas. Their findings are that wind power in summer dies as the morning peak comes, and doesn’t build until after the evening peak starts dropping. I mention this because this is more like the environment in which we would have to have our 15,000 towers operating. No air conditioning in summer: great for those who live in Tasmania (or any other mania). The figure they give of 3.8% for reliability for wind, i.e. at any time you can be sure that 3.8% of wind capacity will be generated is the result of political pressure, to try and make wind look good. In Roman and Etruscan mythology, Mania (or Manea) was a goddess of the dead. She, along with Mantus, ruled the underworld. She was said to be the mother of ghosts, the undead, and other spirits of the night, as well as the Lares and the Manes. Her name links her to the Manes, Mana Genita, and Manius. Wind is good, especially when it yields 3 Gold and one Silver. I mean, without Wind, New Zealand would have bragging rights! surely you wouldn’t force feed our swimmers with beans? On a cloudy rainy day in winter it will be less than 12 minutes equivalent of peak production. I know that because that’s what I get from my solar panels (<5% of summer Kwh) in Perth, a very similar climate to southern California. so my question is what is the best energy source as the cold closes in? Mate, IF (and I chuckle) the Arctic is warming up a bit, I get the impression that heat is coming from Australia !!!!! We sure aren’t warming up any !!!! If we can warm the Arctic from here then the Antarctic must a garden of Eden LOL…………. I personally think that the arctic is warming the fastest because there is a top secret heat source located inside our earth (which is more active lately) and in most planets, that allows heat to escape via the poles. This is the only way I can explain why the south pole of Neptune is 10 degrees warmer than the rest of the planet. Maybe our earth is hollow and has a central star? Why wouldn’t it be hollow considering the gravity at earths centre is zero and the centripital force throws matter away from the center? How does the favored theory of a molten metal centre produce a uniform magnetic field? Ever tried spinning an uncooked egg? Anybody else explored hollow earth theory? by the way i’m not being serious. Your musings remind me of a time in my early teens when I was briefly enamoured of the field theory of the universe. Unfortunately disproven by subsequent real observation. If only to humour me. What scientific evidence / observation can be drawn upon to refute the theory of hollow earth? At other industrial companies, executives at the highest levels are also thinking about freeing themselves from Germany’s electricity grid to cushion the consequences of the country’s transition to renewable energy. Likewise, as more and more companies with sensitive control systems are securing production through batteries and generators, the companies that manufacture them are benefiting. “You can hardly find a company that isn’t worrying about its power supply,” said Joachim Pfeiffer, a parliamentarian and economic policy spokesman for the governing center-right Christian Democratic Union (CDU). Behind this worry stands the transition to renewable energy laid out by Chancellor Angela Merkel last year in the wake of the Fukushima nuclear disaster. Though the transition has been sluggish so far, Merkel set the ambitious goals of boosting renewable energy to 35 percent of total power consumption by 2020 and 80 percent by 2050 while phasing out all of Germany’s nuclear power reactors by 2022. The problem is that wind and solar farms just don’t deliver the same amount of continuous electricity compared with nuclear and gas-fired power plants. To match traditional energy sources, grid operators must be able to exactly predict how strong the wind will blow or the sun will shine. The bloc will be oversupplied with about 1.1 billion permits by the end of the current 2008-2012 trading period, according to Bloomberg New Energy Finance. The surplus can be carried over to the next phase starting in 2013. EU Climate Commissioner Connie Hedegaard said last month she was “quite confident” that the bloc’s member states will approve changes to the supply of carbon permits, an idea known as backloading, before the end of this year. The plan to curb oversupply of carbon allowances will be carried out in two steps. In the first, national governments and the European Parliament need to approve an amendment to the EU law reasserting the commission’s legal right to amend the auctioning schedule. The second will involve a vote on a proposal to delay some auctions in the so-called comitology procedure, where a measure requires qualified majority support from representatives of national governments to pass and then becomes subject to a scrutiny by ministers and the European Parliament. Scientists have proposed stringing up shade cloth over coral reefs and sending electric currents through the sea to help marine ecosystems weather the effects of climate change. The paper also discusses the genetic engineering of species to help them adapt better to climate change, and mitigating ocean acidification by adding base minerals to the water. Professor Hoegh-Guldberg has pointed out conventional approaches to climate change have so far failed to prevent damage to the reef. Are these guys on drugs? * Shadecloth is about 100 grams per square meter. * You’d need 344,00 square kilometers of the stuff! * It would weight 34 Billion tonnes! * You’d need 68,000 supertankers to carry the stuff or stretch it over the reef! *That means we have to build another 64,000 supertankers just for shade cloth? Wally Wan%ers – and lets just put all the windmills on the reef with loose power leads in the water!! you’d think he would at least look in the mirror to see if he could keep a straight face while he said it! Oh great. It’s Ove again. It’s been a while since I had a legitimate reason to laugh so much that my family feared for my sanity. The cats made a bolt for the cat door. Thanks, Ove. The cats needed some exercise. In 1999, Ove said that the Great Barrier Reef was under pressure from global warming, and much of it had turned white. In 2006, he said high temperatures meant “between 30 and 40 per cent of coral on Queensland’s great Barrier Reef could die within a month”. In 2007, he warned that temperature changes of the kind caused by global warming were again bleaching the reef. All of which are totally false and been dissproven! The only thing left to the poor thing is SHADECLOTH! lets just put all the windmills on the reef with loose power leads in the water!! Not sure if that creates more Japanese tourists in Cairns or less. All the Greenies will be wanting to harvest the Methane produced from that little feller for a separate power plant, you know, killing two birds with the one stone. Killing birds! Heheh, got the reference. · Improved mitigation techniques, including vegetation management. 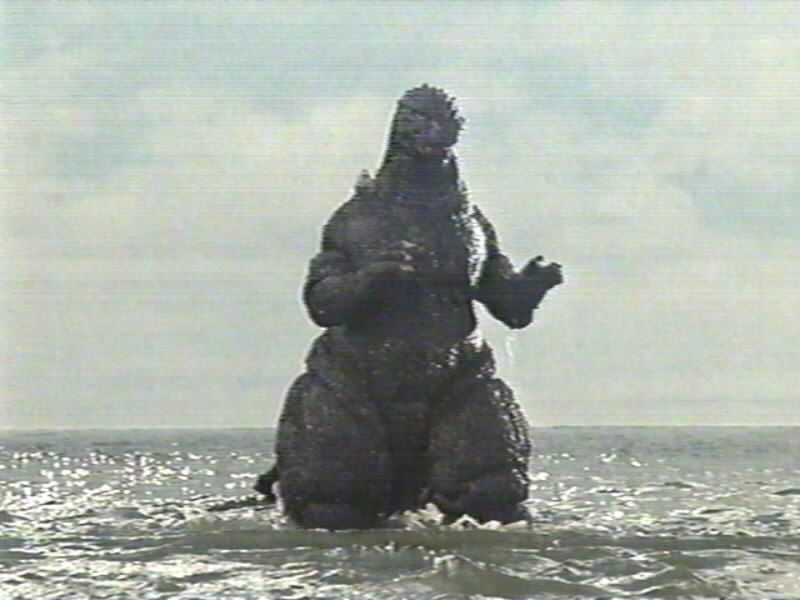 Presumably Godzilla eats fish when hapless civilians are not available. All that stomping around the reef won’t please Ove. New Hollywood script idea: Windzilla Versus The Coral Whisperer. News update for an old thread. My prediction of Godzilla emerging from a wind-powered reef may not have been the only threat Ove would have to watch out for. Yeah, but… I think we’re missing one little fact here. Since it’s been proved (by consensus) that it’s man-made CO2 that’s heating the planet and variations in what the sun is doing have little if any effect, what’s the point of shade cloth? Shouldn’t we be enveloping the Great Barrier Reef and the surrounding ocean in a specially designed membrane that will serve as a barrier to man-made CO2? That would work, wouldn’t it? Black Builders Plastic or concrete envelope (or both) would do while it’s cheap! Hoegh-Guldberg probably can’t comprehend that “damage to the reef” is a natural phenomenon. Until he starts trying to fix it.. then all the damage will be down to him and his nonsense ideas. Hint.. Coral LIKES sunlight, else it would grow in deeper water. This guy is a danger to the reef, big time !!! This Hoegh-Guldberg character is an absolute disgrace and an imbecile ! “We have to have a system where all forms of energy bear their full costs,” President Reagan’s former Secretary of State George Shultz said in a recent interview with Stanford University News. Shultz now heads a task force at Stanford that is currently studying the feasibility of a carbon tax. For Shultz there are many reasons to support such a tax. One is making fossil fuel energy sources absorb costs that are currently borne out by society at large, such as through higher health insurance premiums or Medicare bills caused by pollution-induced diseases. Chancellor Angela Merkel’s government says RWE AG’s new power plant that can supply 3.4 million homes aids her plan to exit nuclear energy and switch to cleaner forms of generation. It’s fired with coal. The startup of the 2,200-megawatt station near Cologne last week shows how Europe’s largest economy is relying more on the most-polluting fuel. Coal consumption has risen 4.9 percent since Merkel announced a plan to start shutting the country’s atomic reactors after last year’s Fukushima disaster in Japan. read it all if u want the outrage of the token University of Oxford Prof, the Greens and Greenpeace. ETS broker and commentator Lizzie Chambers says in her weekly Carbon Match newsletter that three types of carbon credit – known by the acronyms CER, ERU and RMU – face restrictions in the EU’s ETS but remain “good tender” in the New Zealand ETS. “An ETS which does nothing but drive cash offshore is not consistent with that and will ultimately represent a terrible loss of what could have been really dynamic capital,” Ms Chambers says. Ollie Belton, of Christchurch-based Permanent Forests International, notes foreign carbon is already the “credit of choice” last year, as shown by the release of surrender information for the first calendar year of the scheme’s operation. “Worryingly, the cheapest international units were used in abundance. ERUs and RMUs trade at a discount to CERs and accounted for over 44% of all units retired,” he says. Some 3.17 million RMUs were surrendered under the ETS in 2011, around 20% of the total of 16.34 million so far. RMUs, or Removal Units, are derived from a little-known carbon offset involving Russian and Hungarian forests. That compared to no RMUs surrendered in 2010, when the scheme had only run for six months. Even greater was the contribution of 4.27 million ERUs (Emissions Reductions Units), from zero in 2010, which relate to offsets allowed in developed countries to underpin schemes that cut carbon emissions. Looking at the first graph (Fig 10), the first quarter of 2009 is astonishingly low, but I suppose that’s the impact of the 2008 financial crisis. It’s all just investment. What is it going to deliver for the good of the world? Bugger all! Essential poll 43 – 57 cant be long now before someone rolls a grenade into Gillards tent. But what is the chances of this crap getting through? When you consider IOWA stands for Idiots Out Walking Around it might have a good chance. Essential has a new poll out. Many more Greens blame the carbon tax for higher electricity prices than ALP voters. Q. Do you believe these price increases are due mainly to the carbon tax, or mainly due to other reasons? What? Are ALP voters thicker than Greens now? Although I might’ve even said ‘other reasons’ as Big Kev’s RET legislation is probably the larger cause for us here. Which was brought in on the very day of his knifing, heh. The eventual passage of the Enhanced RET legislation was not without controversy, as it took place on what turned out to be the Parliament’s final sitting day. It was also the same day Kevin Rudd was deposed as Prime Minister. That’s not blame. The Greens are so proud they have managed to pull off this coup over CO2, they want to trumpet it. You’ll see that from a wind capacity spread out over more than 2000 miles, that at times the total output is almost zero from total capacity of over 2000MW. That shortfall often happened when the system as a whole peaked, meaning that in reality, all wind capacity must have alternative capacity installed if the system is stay reliable. So every time a wind turbine is installed, a similar amount of reliable capacity must be installed to maintain reliability. I’ll bet this additional capacity is never factored into the cost of windfarms. OT. Rolling out across the EU States now is legislation to force home builders, landlords, and private home owners, to build and convert to only “near zero energy” homes from 2020. That’s fantastically expensive, unnecessary and an enormous impost on the individual, just to let them continue using their own homes. President Klaus of the Czech Republic has just thrown back some of this nonsense for the Czech legislature to ‘reconsider’ , though it’s probably only a matter of time until it comes back again. The people of most other EU States don’t have such a sensible father figure looking out for them and they are left to discover this stuff once it has already passed into their national law. Darn that link. Here it is working. Killer Communications Concerning Carbon Kleptocracy Constitutionality! In an opinion provided to the Institute of Public Affairs think-tank and obtained by The Australian, Mr Pape cites Section 100.7 of the act and says: “Up to June 30, 2015, any carbon units which were issued to persons by the regulator are taken to have been surrendered immediately after the issue of the unit. Read all about it at ACM. Good news, eh MV? Maybe that repeal won’t be so costly? Shall I dare to call this a ray of hope that the Liberals won’t stab us all in the back the moment they take office? A guy can dream can’t he? With all due respect Andrew, I think you, Simon over at ACM, and all the other people cheering over this announcement are being led up the proverbial garden path with rings through your noses. For a start, there never WAS any question of “property rights” until the tax became an ETS on July 1 2015. Taxes don’t come with “property rights”; one has to “buy” something to create a “property right”. So Mr Pape telling us there “won’t be a problem prior to June 30 2015″, tells us nothing at all that we didn’t already know. And since the introduction of an ETS at a floor price of $15.00 a tonne is Liberal Party Policy anyway, then there’s no problem for them in “buying” anything back. They simply don’t intend to, and have never said they would. Abbott will simply cancel the tax part and leave the ETS as is, to start on July 1, 2015, or, more likely, he will move the start date of the ETS forward with legislation introduced at the first available sitting of Parliament. Labor will support such a move – they didn’t want a tax anyway – that part was to appease the Greens. Whichever way Abbott plays it, he will have fulfilled his “promise written in blood” to “repeal the carbon tax”. Meanwhile, the 20% Renewables Energy Target (RET) – supported by both Liberal and Labor – will continue to hike up electricity prices by around 25% per year for the next eight years, regardless of, and in addition to, any increases caused by either a tax or an ETS. The RET is a Liberal Policy but where does it state that a $15 floor price ETS is a Liberal Policy under Abbott as a leader? The Coalition will work with a range of industry groups including the Clean Energy Council, the Energy Efficiency Council, the Green Buildings Council and the Property Council to develop complementary energy efficiency measures. According to the Clean Energy Council, a combination of clean energy measures and a CO2 abatement price of $15 per tonne could yield an annual CO2 emissions reduction of 20-30 million tonnes by 2020. Just for fun, go have a look around the Clean Energy Council’s website and see just what sort of “advice” the Liberals are taking. Then weep for our children. With the fourth he becomes “Man”. With the first three he lives just as animals do. Even the lowest form of energy that mankind deliberately uses, the cow-pat fire used by the poorest people on earth, is the difference between Man and an animal. Deliberate and controlled use of energy is mankind’s defining characteristic when measured against all other life forms on this planet. Energy, reliable, always on, cheap, totally reliable energy underpins and is the sole basis on which our entire civilisation is built. With energy in sufficient and reliable amounts we can create each of those first three and most essential needs of our species. With sufficient resources of energy we can keep on building mankind’s future far into that future. Which is an ideal example of a mal-investment – precisely the industry that will be unwound as GFC Mk I evolves through the false stability of centrally planned risk suppression that is increasing structural brittleness as the black swans of financial catastrophy circle to become GFC Mk II. Apologies for being wildly off-thtread, but listen to the podcast at 2GB of Ben Fordham talking to Michael Smith, the broadcaster who lost his job at 2UE for asking questions about Gillard’s work at Slater & Gordon in relation to the AWU/Wilson fraud. Sensational, and I can’t see any way possible Gillard can survive these fully documented allegations. It’s just scuttlebutt. Nothing to see here, move along now. A judicial enquiry (by a federal court judge) will no doubt find she has no case to answer. A case of Murphy’s Law in “high dungeon” you’re thinking perhaps, accompanied by the “Tally Band”? Given that the Independents are hog-tied to Labor, the chances of an early election are zero. The longer Gillard is there, the worse the wipe-out when the elections finally held. While not overly optimistic about what Abbott finally does with the carbon price, I don’t share mv’s pessimism. Who knows, by next year the price in Europe could be even closer to nothing. It will be a “very courageous” government (to borrow Sir Humphrey Appleby’s words) which persists with a floor price of $15 and all the other RET rubbish. WRT to the floor price, this item rather surprised me. Is there an active neuron between Rob’s ears after all? Two Cows talking to each other. One Cow says to the other. Hey! Are you worried about Mad Cows Disease? Nup! Says Cow 2. Why? says Cow 1. Besides Renewable energy…anyone got a better joke??? The market must know something about how uninteresting renewable energy has become. A Few Figures on the Falkland Islands may put this into perspective. That makes fuel consumption of around 5.8 million litres. So the saving of 4% to 8% is around 230,000 to 460,000 litres per annum. In Britain an average car travels 12,000 miles per year. A diesel-engined family car will average 45mpg (10 miles a litre). So, to use ecospeak, these wind turbines have the equivalent savings of taking between 190 and 380 “cars off the road”. Another way is to make the heroic assumption that a litre of diesel is equal to a litre of crude. With 210 litres in a barrel of oil, the Falkland Islands can save 1100 to 2200 barrels of oil per annum. With global oil consumption at about 110m barrels a day, we could cut global oil consumption by 1% by enacting between 18.25 and 36.50 million similar schemes. Yes, the scheme makes no difference, except to the Falklanders. According to the original press release they were using an average of 11,000 Litres per day or 4 million L p.a. for an average demand of 1.7 MW. Made up of 20,930 L per day (average) in winter to meet 3.2MW maximum demand. In summer 7,195 L per day (average) to meet a minimum demand of 1.1 MW. Initial claim (before installation) was a projected saving of 20% of fuel, and in practice in the first year they saved 18% or about 720,000L of fuel. Since then they have installed another (identical) wind farm, and started using the waste heat from the diesel generators as an area heating scheme i.e. hot water circulated to heat homes in Stanley. Claimed savings of 52%. But this latter figure doesn’t take into account that a number of farms have installed their own wind systems (with batteries) thus reducing overall demand by a fraction. The initial 4.3% fuel saving was for the turbines working at 13% of capacity on one day of measurement. I’m guessing … but isn’t it plausible that the Falkland Islands are surrounded by oil and gas fields? BTW: if the diesel generators are trying to fill the holes left by deeply fluctuating wind power, then they will be consuming more fuel. The specific fuel consumption of diesel engines varies with load; not as much as for IC engines, but it’s still substantial. They could easily be consuming 30% more fuel per kWh generated. From the description of the generators, it looks like there’s a fleet of different vintages being run to produce electricity. Although diesel efficiency nearly “peaked” in the 1940′s, 10% to 20% more electricity can be squeezed out of every drop of oil with modern machinery. The “gotcha” with diesel cycle efficiency is that it’s around 50%. Excellent for getting power at the shaft, but miserable for providing process heat in the coolant. Exhaust gas turbo-chargers also convert much of the heat which would otherwise go up the flue into useful power that reduces the internal pumping losses of the engine and gives it a much larger “sweet spot” of near-peak efficiency. So there’s not much heat to spare for heating houses (combined heat and power – CHP); unless you deliberately operate the engines inefficiently for a particular load point. At the time of the 1982 Falklands war, one of the more muted suggestions given for the British determination to fight the War what ever the costs was that it was suspected by oil field geologists that the Falklands were situated in very close proximity to very large off shore oil deposits. At the time the North Sea oil fields were being exploited but the british oil field geologists knew that like all such fields, they had a limited life and that Britain would need access to other sources of oil sometime in the future and the Falklands held promise that they might be that source of further huge amounts of oil. There is a theory kicking around that there is a very ancient and major fault line running from the Orinoco Valley deposits down the eastern side of the Andes, roughly along the north / south axis of the South American continent and then the fault emerges into the Southern Ocean and Antarctic seas around the Falkland Island region. Not sure of the point of this. We’re going to need energy from whereever we can get it as energy prices continue to rise – energy prices set to double by 2020 and fossil fuel will become increasingly expensive as we shift from oil to shale gas and tar sands. I live on the South Wales coal fields where the ‘choice’ is presented as Nuclear v’s wind – it’s a false choice as we’ll get shale, coal, wind, sun, biomass, nuclear etc as Noth Sea gas runs dry and imports get more and more expensive. Enjoy your oil reserves while they last! I’m on the wrong side of this argument. How can I swap over and get my hands on those dibs?